If you are conducting or starting up a business as a sole proprietor or a partnership, there are significant advantages to operating as a Corporation or LLC. One key advantage is that personal liability for the losses, debts or court judgments can be avoided, provided you respect the formalities required by the laws of the state in which the Corporation or LLC is formed. There are, however, significant differences between the LLC, the C-corporation and the S-Corporation. In deciding which is best for your situation, here are a few things to consider. LLC’s have gained in popularity since their inception in the 1990’s, partly because they are more flexible than corporations, their management is less formal and there is less paperwork. The LLC Operating Agreement sets forth the management structure you choose. That said, it is best to maintain sufficient records to establish that the LLC management is separate and apart from the personal financial activities of its member(s). 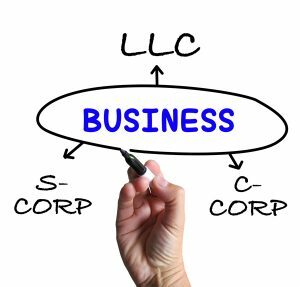 Operating as an LLC (or S-Corporation, described below) makes it easier to deal with business taxes, which may be passed through to your personal tax return. Note that some states require LLC’s to name a dissolution date. The C-Corporation and the S-Corporation. State corporate laws require more structure in the management of a corporation than an LLC. A corporation must adopt bylaws, retain minutes of organization and annual activity of shareholder(s) and director(s), issue shares and maintain a corporate record book. Most successful public businesses in the U. S. are C-Corporations. However, if you plan to seek investors, sell shares and offer investors the greatest amount of protection, consider an S-Corporation. The formal structure of an S-Corporation (as opposed to the less formal structure of the LLC) may offer investors the protection they seek. As with an LLC , operating as an S-Corporation allows your business taxes to be passed through to your personal tax return. C-Corporations, on the other hand, pay taxes at the corporate level and the shareholders pay taxes for the distribution they receive from it on their personal returns. Note that the S-Corporation’s existence is perpetual while some states require LLC’s to name a dissolution date. 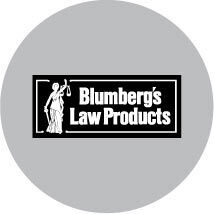 Go to www.blumberg.com/corporate_services/nationwide.html for incorporation services and LLC formations. Previous PostPrevious Does a will need to be printed on legal size paper?